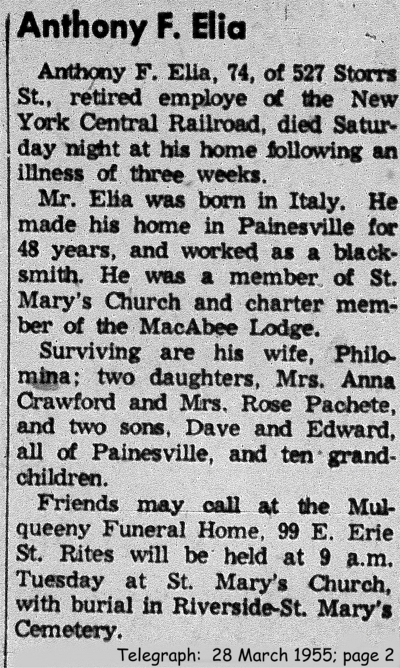 Antonio Elia first appears in the Painesville, Ohio, area in 1907. 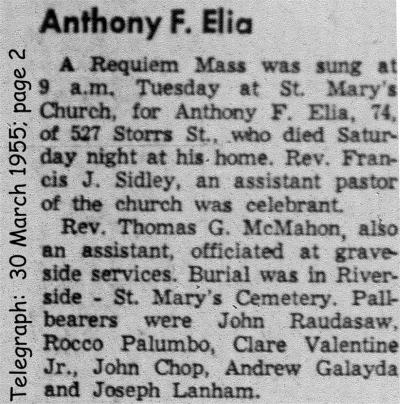 In America, Antonio Elia was known as Anthony Elia. Antonio Elia was born on February 1, 1881, at Italy. He married Filomena DeBiase, on July 25, 1907 at Our Lady of Mt. Carmel, Ashtabula, Ashtabula County, Ohio. 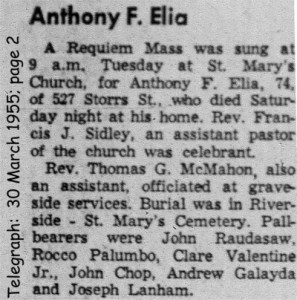 Antonio died on March 26, 1955, at 527 Storrs Street, Painesville, Lake County, Ohio, at age 74. His body was interred at Riverside Cemetery at Painesville, Lake County, Ohio. Antonio Elia immigrated to the United States in 1906. 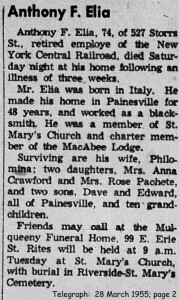 Mr. Elia was a retired blacksmith for the New York Central Railroad.